"Headline" government data is massaged, falsified or spun for the purpose of perception management: believe the headlines at your own risk. Modern investing offers the promise that investors who "do their homework" and use data more intelligently than the herd can gain a valuable edge. But what if the underlying data available to the investing public is fundamentally flawed? The federal government agencies that issue headline data and the mainstream media that reprints the data without skeptical analysis would have us believe that these indicators -- the unemployment rate and the consumer price index (CPI), for example -- accurately reflect economic realities. The other indicator that is implicitly or explicitly assumed to reflect the economy’s health is, of course, the stock market, generally represented by the S&P 500 index. That the government indicators and the stock market are both suspect is now a given. 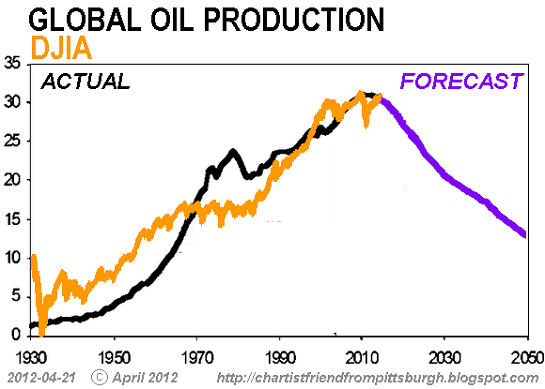 The chart below, one of many possible examples, proves this suspicion is well-founded. This is a chart of a broad measure of employment in the U.S. published by the U.S. Department of Labor, Bureau of Labor Statistics (BLS). As we can see, when 140 million people had jobs in 2009, the official unemployment rate was 7.3%. Yet when 140 million people had jobs in early 2012, the unemployment rate was 8.3%. How can the rate change when the number of jobs remain constant? The reason is that the unemployment rate is based not just on the number of jobs but on the number of people who are ready, willing and able to work—the labor force. The unemployment rate is based on the labor force minus the number of employed equals the number of people counted as unemployed. The government games the unemployment rate by keeping the labor force number artificially low. Despite the working-age population rising by 9.4 million people since 2008, the official labor force has been 154 million since 2008. Where did the government put all those millions new workers? In the “not in the labor force” category, which rose by roughly 8 million since early 2009. In other words, dropping millions of people from the labor force artificially lowers the unemployment rate. It doesn’t take any fancy analysis to conclude that if the true labor force were counted, then the unemployment rate would be much higher -- and that is, of course, politically unacceptable. So the numbers are gamed, massaged, adjusted... However you choose to describe it, the “headline number” of unemployment reflects political expediency, not reality. The same can be said of the CPI and a slew of other headline data points issued by the government and blithely accepted by a corporate mainstream media committed to presenting the “recovery” as real. If We Can’t Trust Headline Indicators, What Can We Trust? If these headline indicators are not a reliable reflection of economic reality, what is? To the degree that any government statistic can be massaged, seasonally adjusted, or simply rejiggered behind the curtain, we must always be alert to the possibility that numbers have been gamed for political expediency. But the farther we move away from headline numbers, the farther we also get from the political pressure to make the numbers either positive or benign. For example, relatively few people are going to study chart PRS85006173, showing labor’s share of the non-farm business sector (i.e., the vast majority of the economy). This charts reveals that labor’s share of the economy has been falling sharply since the dot-com top in 2000, and has been in a downtrend of lower highs and lower lows since 1982. This suggests that the number of counted jobs (which includes part-time, temporary, and self-reported self-employed) may be less valuable as a metric of economic recovery than income and labor’s share of the economy. 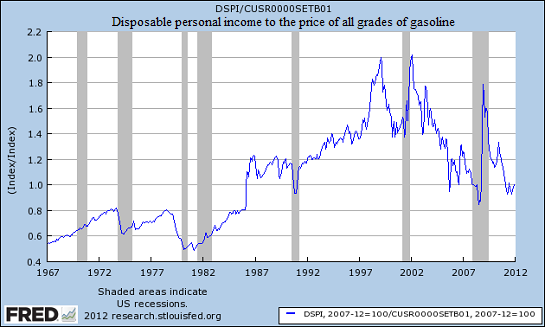 In the following chart, income is not adjusted, and so it appears to be resuming its decades-long ascent. 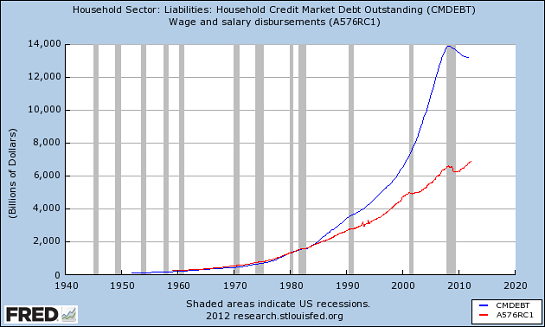 But if we add household debt, then another picture emerges, one of household debt rising far faster than income. 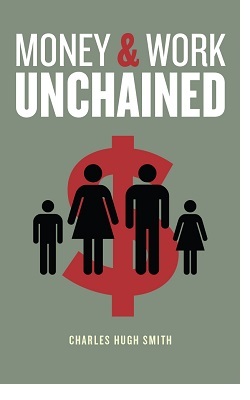 Debt must be serviced, and rapidly rising debt imposes a burden on household income. Income may be rising in nominal terms, but if it is declining in real terms and the debt that must be serviced out of that income is skyrocketing, then how meaningful is nominal income? Rather than reflecting meaningful growth, the apparently rising nominal income deceptively masks the reality of declining real income and avoids the costs imposed by a stratospheric rise in debt. Since income is taxed, then tax receipts are another measure of income. Obviously the amount collected depends on the tax rates that are in effect for that year, so tax receipts may decline if tax rates fall. Nonetheless, in aggregate, tax receipts are a metric that is difficult to game or “seasonally adjust” to serve political expediency. 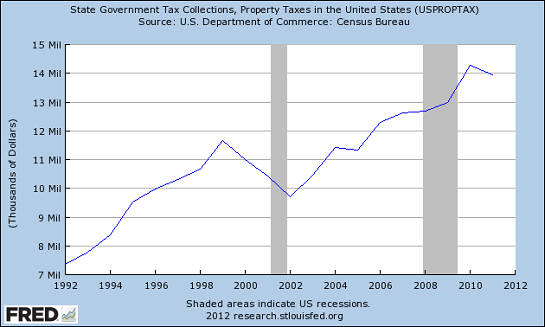 Here is a graph of total federal tax receipts. According to the BLS, what cost $1 in 2008 now costs $1.07 -- an absurd under-reporting of inflation by many analysts’ calculations. But the point here is that tax receipts remain well below 2006 peaks; they are also 7% less just from the loss of purchasing power. If official inflation is grossly underestimated, that loss might well be much greater. In other words, simply getting back to the previous peak in nominal terms still leaves tax receipts down 7%-10% (or more) in real terms. The recent resurgence in tax receipts can be presented as evidence of “recovery.” But just as the financial health of households can only be measured by plotting both income and debt, we must look at government debt, not just its income. Here is a chart of federal debt held by the public -- that is, all federal debt excluding “intergovernmental” debts that arise from the government “borrowing” (i.e., expropriating) Social Security funds. Notice how the federal government borrowed/squandered $6 trillion from 2008 to the present. Once we understand the enormity of this unprecedented borrow-and-spend policy, it is underwhelming to find that $200 billion “trickled down” in increased federal taxes paid. Since virtually all workers drawing a wage or salary and all self-employed people with a meaningful net income pay Social Security taxes, the next chart, 'Contributions for Social Insurance,' offers a reasonably accurate reflection of actual earnings. This decline is at odds with nominal increases in income and supports the notion that earned income is actually declining regardless of how many jobs are being counted (or imagined) by government agencies. How about all of those corporate profits, which are presumably the foundation of the stock market’s glorious double from March 2009 lows? Corporate taxes have yet to recover pre-recession levels, too; perhaps this is the result of American corporations’ famous ability to lower tax liabilities, or perhaps the recovery in real corporate profits hasn’t been quite as spectacular as is broadly assumed. No enterprise can be accurately assessed without understanding its profit and loss statement and balance sheet of assets and liabilities, and why should it be any different for households and government? In looking at the income and debts of both households and our government, we have a more balanced and accurate assessment of the “recovery” than that afforded by politically expedient headline numbers. In Part II: The Three Key Indicators to Watch, we ask the question, what investment-actionable indicators of financial and economic reality can we rely on? The "good" news is that the options of potential outcomes for the macroeconomic picture are narrowing, making the future a little easier to predict and plan for. The sobering truth is that the narrowing choices ahead of us each involve a magnitude of pain we'd rather avoid. Now more than ever, investors need reliable compass points by which to navigate. This report was originally published on chrismartenson.com under the title What Data Can We Trust? Thank you, David W. ($25), for your most-excellently generous contribution to this site--I am greatly honored by your support and readership. Thank you, Bill B. ($5/mo), for your splendidly generous re-subscription to this site--I am greatly honored by your ongoing support and readership. Basing a "virtuous cycle" on lies and propaganda is self-defeating. Does believing in the "recovery" make it real? The propaganda policies of the Federal Reserve and the Federal government are based on the hope that you'll answer "yes." The entire "recovery" is founded on the idea that if the Fed and Federal agencies can persuade the citizenry that down is up then people will hurry into their friendly "too big to fail" bank and borrow scads of money to bid up housing, buy new vehicles, and generally spend money they don't have in the delusional belief that inflation is low, wages are rising and the economy is growing. In other words, the "virtuous cycle" of new debt feeding economic growth is based on conning (or brow-beating) the American public into believing that the "recovery" is real. Our "leaders" hope this baseless belief will spark a buying frenzy that then fuels a real recovery. Perception may seem like everything to our Delusionol(tm)-soaked "leaders," but reality still trumps the con. Real wages are declining and debt loads are still crushing, so the new cycle of borrowing and consumption the Fed and Central State want to create requires trillions of dollars of free money, either guarantees or subsidies from Federal agencies or trillions in monetary printing via "quantitative easing." 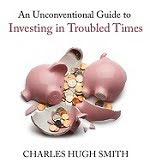 Everybody loves free money, but once again reality trumps fantasy, for guaranteeing lenders from loss leads to moral hazard, and distributing free money leads people to gamble it on speculation or other forms of unproductive mal-investment. So all the free money is squandered or gambled away, but the Federal government is left with the debt it took on to fund the trillions in give-aways. That means the cost of servicing all that new debt rises, which means either government spending on other programs has to be cut or taxes have to rise, reducing disposable income, savings and consumption. Once again the BEA has used "deflaters" that will strain the credibility of the public, especially if they buy gasoline. To correct the "nominal" data into "real" numbers the BEA assumed that the annualized inflation rate during 1Q-2012 was 1.54%. As a reminder, lower "deflaters" cause the reported "real" growth rates to increase -- and once again very low seasonally adjusted BEA inflation "deflaters" have been the headline number's best friend.If the raw "nominal" numbers were instead "deflated" by using the seasonally corrected CPI-U calculated by the Bureau of Labor Statistics (BLS) for the same time period, nearly the entire headline growth rate vanishes-- and the resulting growth rate would have been a minuscule 0.08% with "real final sales" contracting. -- Real per-capita disposable income shrank at an annualized -0.27% rate during the quarter (from $32,699 per capita to $32,677 per capita) -- and it remains lower than it was five quarters ago. -- "Real final sales" and factory production continued to be supported by inventory building -- which is unsustainable and must ultimately reverse (even if the cost of carrying the inventories has been kept artificially low by the Fed). Something else happens in the real world when the government massages, mis-states and flat-out lies to twist reality into fantasy: people no longer trust their government or their institutions. This loss of faith is a social-fractal death-spiral, as every strained, frantic attempt to persuade us that "all is well, the economy is growing nicely, unemployment is down," etc., only further strengthens the awareness that our government has lost the ability to report the truth, in matters large and small. Our government is in effect a pathological liar--not just about wages, GDP and unemployment, but everything. Does any well-informed citizen believe anything the government claims is true, about Afghanistan, the budget, or future Federal liabilities? Data is now massaged for political expediency, failure is spun into success, and consequences are shoved remorselessly onto the future generations. The entire policy of the Federal Reserve and the Federal government boils down to pushing propaganda in the hopes we'll all swallow the con and believe that down is now up and our "leadership" is a swell bunch of guys and gals instead of sociopaths who will say anything to evade the consequences of their actions and policy choices. Thank you, Cudick A. ($50), for your supremely generous contribution to this site--I am greatly honored by your continuing support and readership. Thank you, Skip B. ($5/mo), for your stupendously generous re-subscription to this site--I am greatly honored by your ongoing support and readership. If you just want to suppress the symptoms but leave the financial disease untouched, Delusionol (tm) is the drug of choice. 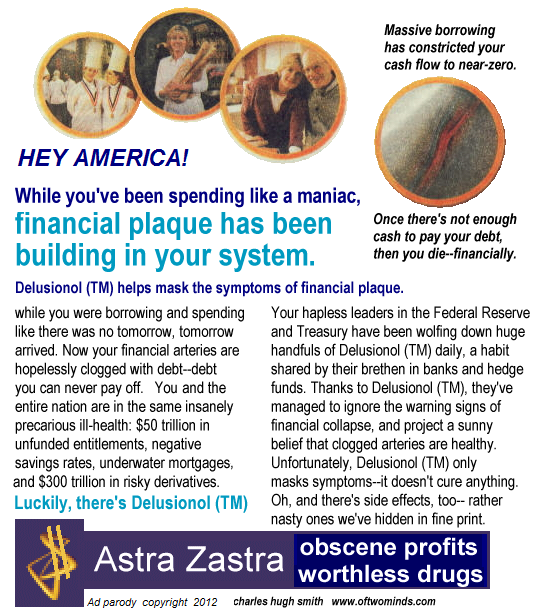 Inside sources are reporting that there's a new drug of choice circulating in the hallways of power--the White House, Federal Reserve and the Treasury Department--and it's a perfectly legal prescription psychotropic: Delusionol (tm).Delusionol works by activating the parts of the brain that replace cognition and reasoning with positive fantasies. For example, a driver on Delusionol might run over a person in a wheelchair, bounce off a fire hydrant and send a baby carriage hurtling into a brick wall, and they would be happily convinced that they were an excellent driver. Now you understand why Delusionol is being gulped in vast quantities in the halls of power: the guys (and yes, it's mostly guys) really want to believe the "economic recovery" they've been hyping, and since it's rationally preposterous, they need a drug to suppress recognition that their policies have only made the financial disease worse and stimulate a delusional belief in the fantasy of "recovery." What can you say about someone who knows household incomes are falling, inflation and unemployment are much higher than officially reported, all the jobs created out of thin air by the birth-death model of small business employment are bogus, yet they "believe the recovery is self-sustaining"? They're obviously on Delusionol. Unfortunately, like many other prescription drugs passed out in the tens of millions, Delusionol is highly addictive. 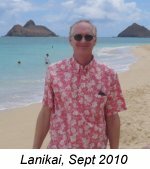 Once you experience the "high" of believing that suppressing symptoms is the same as actually solving problems, it's almost impossible to return to reality, where actions and policies still have consequences, often unintended and often horrendously destructive--for example ZIRP (zero interest rate policy). Even worse, the most blatant lies (for example, the birth-death model fabrication of phantom jobs, the illusory "declining rate of unemployment," the fantasy that cutting 1% of the Federal budget will make a difference in a budget that is 40% borrowed money, and so on) are suddenly "real" to the person on Delusionol. No sane person would believe that one corporation with $40 billion annual profit can juice a stock market worth $14 trillion, but folks on Delusionol will believe any absurdity if it's presented as "real." They have literally lost the ability to discern between fantasy and reality. Sadly, White House staffers on Delusionol have been seen planning the re-election party in November 2012, as if the global economy isn't imploding and as if that won't take down the precarious, "all inventory stuffing plus Apple earnings" U.S. stock market and economy. The debt-clogged financial arteries of the nation are about to burst, but the Delusionol-tripping "leaders" in the White GHouse, Fed and Treasury are confident the economy is ready for a sprint, or a 10K run, heck, even a marathon. Anything's believable to a drug-addled sap on Delusionol. Thank you, William M. ($100), for your outrageously generous contribution to this site--I am greatly honored by your continuing support and readership. Thank you, Lori at (CE). ($50), for your stupendously generous contribution to this site--I am greatly honored by your support and readership. Peak Housing reflects not just a credit bubble but Peak Fraud and Peak Suburbia. 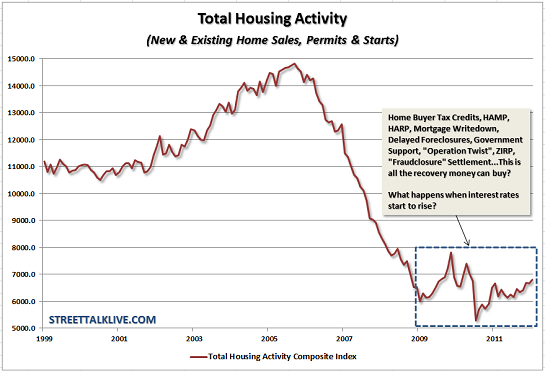 Once again pundits are claiming that housing is "finally recovering." But they're overlooking three peaks: Peak Housing, Peak Financial Fraud, and Peak Suburbia, all of which suggest years of stagnation and decline, not "recovery." Here is a classic bubble and pop. Note that the "recovery" to bubble heights never arrived: 12 years later, the NASDAQ is around 3,000. If we adjust that by the 33% inflation since 2000 calculated by the BLS (Bureau of Labor Statistics), then the NAZ is around 40% of the 2000 peak. Note that there were several "recoveries" that fizzled before the index finally round-tripped to pre-bubble prices. 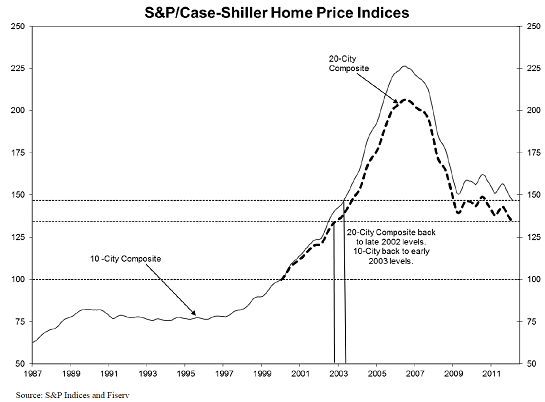 On the Case-Shiller, that suggests an eventual drop from 130 to 75, the pre-bubble level. 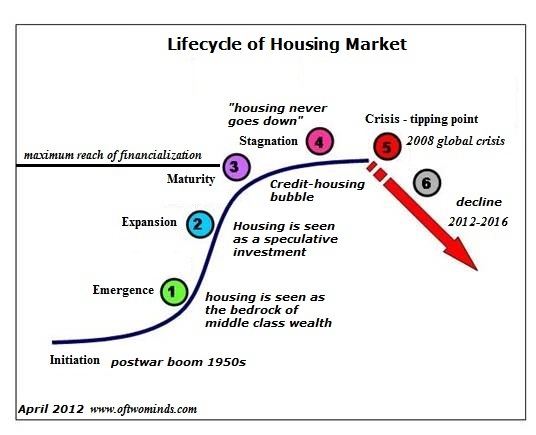 Like all other systems that have run their course, housing follows an S-curve. After the vaporization of assets and cash in the Great Depression, America had largely reverted to a nation of renters. The postwar boom of plentiful jobs, cheap, government-guaranteed VA mortgages and virgin flat land near cities combined to fuel a suburban housing boom. By the 1960s, the belief that housing was the bedrock of middle class wealth was firmly established. This was the explanation and motivation for buying a home: "housing never declines," and a rapid rate of household formation made it easy to sell a house to somebody else. The high inflation of the 1970s and subsequent leap in housing prices embedded another key concept in the national psyche: housing wasn't just a forced savings plan that doubled as shelter, it was the speculative road to riches. The mini-bubble of the late 1980s popped, sending housing into a six-year slump, but Peak Financialization and Peak Financial Fraud arose to goose housing to a new and spectacular credit-fueled bubble of frenzied speculation. That systemic fraud was a key dynamic of the housing bubble is undeniable:everyone from those buying houses with no-document loans to money-center banks selling fraudulent mortgage-backed securities was relying on fraud. Peak Fraud isn't a necessary feature of financial bubbles, but it is often a causal factor among others. If you have any doubt that the Crash of 1929 was accompanied by Peak Financial Fraud, I invite you to read John Kenneth Galbraith's The Great Crash 1929. Alas, all bubbles pop, and now the world has changed. The overt fraud has been driven underground, but the repercussions of the institutionalized fraud of MERS and mortgage-backed securities hasn't been resolved; it remains in the market's blood stream, slowly poisoning what's left of the private mortgage market. Peak Fraud will not be returning to the housing market, but its toxic consequences linger in the system. Does anyone seriously think the 4.4 million home equity lines of credit loans (HELOCs) on lenders' books are priced at their true market value? Accounting fraud in the form of overstated mortgage valuations is still rampant, and everyone knows it. The rapid household formation of the 1950s and 60s period has given way to a generational decline. When housing, credit and oil were all cheap and plentiful, single people could buy condos and homes themselves, even with modest incomes. 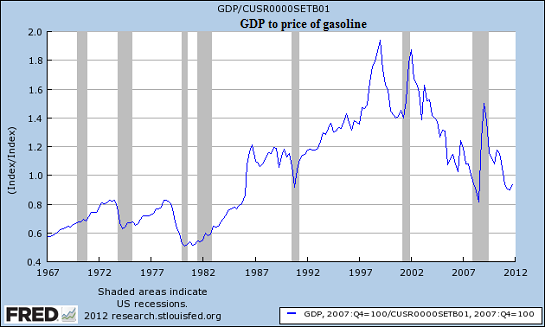 Credit may be cheap but housing and oil are not, and inflation has ravaged incomes, as noted here many times. 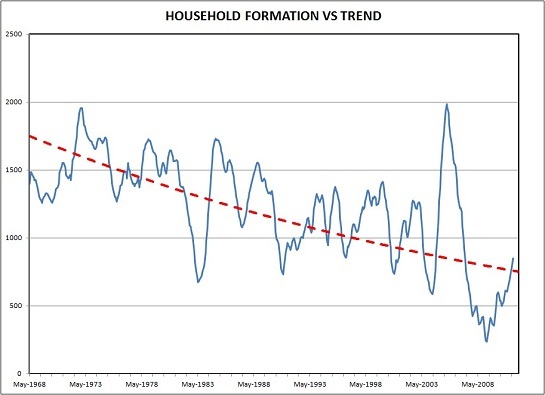 The demographics simply don't support rapid household formation; household formation is following an S-curve, too. Then there's Peak Suburbia and Peak Commuting to Distant Exurban McMansions.Here is a chart that correlates GDP (gross domestic product), the broad measure of economic growth and prosperity, with the price of oil and wages. 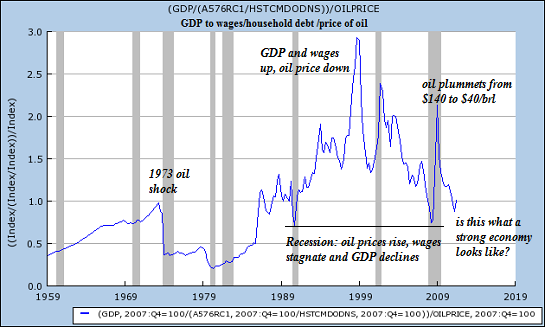 Note that rising oil costs and stagnant wages take the wind out of the economy's sails. Simply put, declining wages and high oil prices erode households' ability and willingness to buy a surburban home and pay for the gasoline needed to commute hundreds of miles every week. Only one aspect of housing hasn't yet peaked: property taxes. If the risks of homeownership weren't apparent before, they certainly are now as local governments jack up property taxes to indenture homeowners into tax donkeys. Note that property taxes declined significantly in the previous recession (2000-2002), but they rose steeply in the 2008-9 recession, and continued climbing. The recent modest slippage may have several factors: lower valuations in states that set property taxes on assessed values, tax revenues declining as homes in foreclosure languish with unpaid property taxes, and so on. Anyone claiming that property taxes have peaked will have to support that claim with evidence that local governments have found other sources of tax revenues to replace property taxes. Until that dynamic changes, then local government will have every incentive to jack up property taxes by any and all means available. Thank you, David P. ($50), for your splendidly generous contribution to this site--I am greatly honored by your support and readership. Thank you, Pamela & Blake U. ($5/mo), for your superbly generous subscription to this site--I am greatly honored by your support and readership. What Happens When All the Money Vanishes Into Thin Air? Issuing debt and printing money do not create wealth. All they can create is a temporary illusion of wealth. 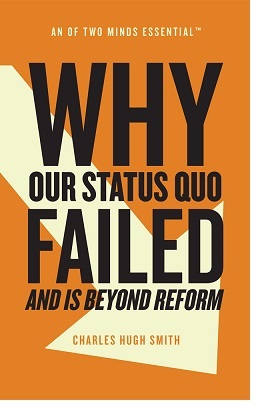 Those who fail to understand that the Status Quo is impossible to maintain will be shocked when the disintegration is undeniable. But the whole thing was perverse to begin with. Words like capitalism and meritocracy are thrown around to make people feel good when, in reality, we have never owned anything, not even ourselves.How can we own ourselves when the very thing we use for subsistence can be cheapened or reduced to nearly nothing, not by market forces, but by central banks acting at the behest of governments? When a person does not control his labor, what is he? I have been studying the monetary history of the world for the past few weeks. I can tell you that the second oldest profession is currency debasement. Nothing is new. 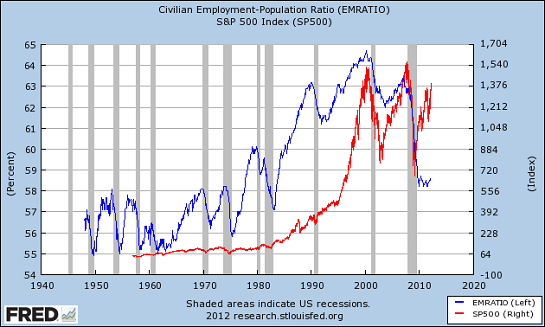 Of course, this should be no surprise, everything is cyclical. Humankind is like the trader looking for the Holy Grail. There is no perfect monetary system, there is only better and worse. And this one ranks among the worst. I wait patiently for people to come to the understanding that the only way for everyone to get their money would be to destroy its value completely, meaning that a loaf of bread would be a million dollars. If a small fraction of what has to be printed to keep the system afloat has caused the price spikes in energy and everything else, imagine what happens as the disintegration picks up speed. As the exponential debt curve moves closer to the pure vertical, the rate at which debts come due will approach infinity. Of course, while this is the ultimate mathematical outcome, the reality is that the system will collapse before this point is reached. But don't think governments will throw in the towel. 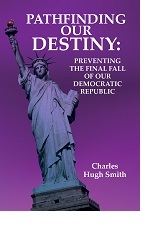 If history holds true the rise of a totalitarian government is just over the horizon. Then there are those who get it right and wrong in the same breath. John Mauldin, in a KWN interview, thanked Europe for keeping the heat off the US. Mr. Mauldin apparently does not understand that our monetary policies are transferring what we do not want to the rest of the world, at least for a time, but not much more. How many more food items be made smaller and sold at the same price? In effect this is a slow starvation of those at the margin. The 46 million American souls on food stamps will soon find their food stamps to be worthless. Those who assert that a credit system cannot go hyper-inflationary may not have thought through the exponential effects on the relationship of the debt and productivity curves within the context of all money is debt and the only way to create money is for debt to be created. Eventually the debt curve accelerates away from the productivity curve, then the productivity curve collapses all together. Sovereign debt crises caused by governments stepping in to keep the debt system going is the last stage. Then comes the debt/currency collapse. Even if the Fed stopped printing money, I fail to see the difference between too much money that is worth nothing, and no money at all. It's not going to matter to a starving man that a loaf of bread is $1 million and he is a dollar short, or if it's $1 and he is a dollar short. Thank you, Harun. Many observers have addressed the key concept here, which boils down to this: paper money is an abstract representation of the real world. This can be explained by a simple example. If there is $100 in the money supply, and $100 of goods and services to trade, then $1 will be exchanged for $1 of goods and services. If the money supply suddenly increases by $100, then the value of the existing $100 declines by half, as the money supply is now $200 and the supply of goods and services remains unchanged. Thus it now takes $2 to buy what $1 once bought in goods and services. Holders of the currency have had half the value of their currency (what we call purchasing power) stolen by the central bank that issued the additional $100 in money supply. Here is the primary point: issuing debt and printing money do not create wealth. All they can create is a temporary illusion of wealth. This system works well, as the currency issued matches the number of coconuts harvested annually (for simplicity's sake, let's say that's 100). 100 pieces of currency are issued to match the 100 coconuts that exist in the real world. The currency (let's call it the quatloo) is an abstract representation of the goods available, i.e. the coconuts. But then a wise-guy (i.e. 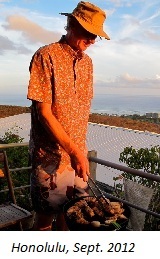 the "central banker" on the island) realizes that if he prints another 100 quatloos, he and his buddies can buy up all the coconuts and fish without having created any real goods in the real world: the abstraction is used to con people out of their real coconuts. The residents quickly catch on, and the "price" of coconuts rises to 2 quatloos. The wise-guy is addicted to the scam, and so he prints 1,000 quatloos, and then issues quatloos in denominations of 1 million. Soon enough, each coconut costs 1 million quatloos. Creating debt and paper money does not create real goods and services or real wealth. As Harun observed, we have been promised trillions of dollars that can supposedly be traded for trillions of dollars in real goods and services, and buyers of bonds have been promised trillions of dollars of the same artificial exchange of paper for real goods. Just as on the desert island, the growth of actual goods in the real world lags the growth of money, i.e. abstract representations of real goods. The U.S. Central State (Federal government) has borrowed and squandered $6 trillion over the past four years, and the actual production of goods and services has not risen at all when adjusted for inflation. The central bank (the Federal Reserve) has expanded its balance sheet by $2 trillion, and yet all the assets it have tried to force higher are actually lower when measured in real goods such as gold, oil, wheat, etc. It's easy to expand the money supply and difficult to expand the actual production of real goods in the real world. Expanding the money supply and issuing debt that lacks collateral is just like printing quatloos on the desert island: you can print a million quatloos but that doesn't create a single additional coconut. If you print enough quatloos, then people will no longer accept them in exchange for coconuts. You will actually need a real coconut to exhange for fish. This is why Greek towns are reportedly reverting to barter, the exchange of real goods for other real goods. We can anticipate that silver and gold will soon enter the barter as means of exchange that can't be counterfeited or printed by wise-guys (central bankers). We can also anticipate the issuance of letters of credit, a practice that stretches back to the trading fairs of Medieval Europe, as described by Fernand Braudel in his three-volume history of early capitalism, The Structures of Everyday Life (Volume 1), The Wheels of Commerce (Volume 2) and The Perspective of the World (Volume 3). Since gold was in insufficient supply, letters of credit were issued and accepted on a basis of trust. At the end of the great fairs, the letters were exchanged and payment of balances due made in gold or silver. Thus 99 coconuts could be traded for 100 dried fish via letters of credit and the balance due in gold or silver was the value of 1 dried fish--a mere 1% of the total value of goods exchanged. This is what happens when abstract representations, i.e. "money," vanish into thin air. Alternative systems of exchanging goods and services arise: actual goods are exchanged via barter, tangible concentrations of value that cannot be counterfeited such as gold and silver are used as a means of exchange, letters of credit or equivalent are traded and settled with tangible goods or gold/silver, and eventually, a means of exchange ("money") that is backed by tangible goods in the real world that can be trusted to actually represent the value being traded might enter the market. That which is phantom will vanish into thin air, while the real goods and services remain to be traded in the real world. Thank you, Terry L. ($10), for your much-appreciated generous contribution to this site--I am greatly honored by your support and readership. Thank you, Jeff H. ($5/mo), for your magnificently generous subscription to this site--I am greatly honored by your support and readership. There are no apolitical “personal choice” acts; there are only profoundly political acts of resistance or complicity. I don't how the future will unfold, not just because I'm an idiot but because it's unknowable. Though we cannot know the future, we do know two very important things: 1) that which is unsustainable will implode, and 2) the present Status Quo is unsustainable. That ultimately leaves us with a single question: what are we going to do about it?In my view, it's not important that we agree on solutions--agreement would in fact be a catastrophe, for dissent and decentralization are the essential characteristics of any sustainable "solution." What is important is that we realize the future boils down to a simple choice: do we passively comply with the Status Quo feudalism or do we resist? 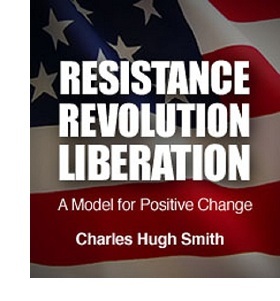 In my book Resistance, Revolution, Liberation I summarize this thusly: There are no apolitical “personal choice” acts; there are only profoundly political acts of resistance or complicity. The roots of this line of thinking go back to 1969 when at the age of 16 I discovered Jean-Paul Sartre's What is Literature? 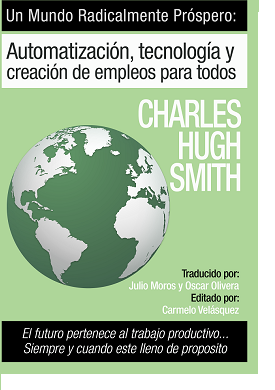 (print) (Kindle). This book inspired my goal of becoming a writer, and it's easy to understand why: Sartre's central argument is that among the arts only prose has the power to change our lives. 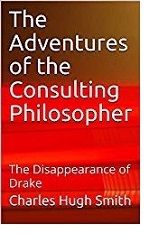 Amazon.com reviewer Riccardo Pelizzo summarized this concept brilliantly: "The function of a committed writer is to reveal the world so that every reader loses her innocence and assumes all her responsibilities in front of it." "The function of a writer is to call a spade a spade. If words are sick, it is up to us to cure them. Instead of that, many writers live off this sickness. In many cases modern literature is a cancer of words. There is nothing more deplorable than the literary practice which, I believe, is called poetic prose and which consists of using words for the obscure harmonics which resound about them and which are made up of vague meanings which are in contradiction with the clear meaning. ""That is not all: we are living in an age of mystifications. Some are fundamental ones which are due to the structure of society; some are secondary. At any rate, the social order today rests upon the mystification of consciousness, as does disorder as well." "There is no guarantee that literature is immortal. If writers lose it, too bad for us. But also, too bad for society. Of course, all that is not very important. The world can do very well without literature. But it can do without man still better." "Language is our shell and our antennae, it is the prolongation of our senses, a third eye which is going to look into our neighbors heart." "We are within language as within our body." "To speak is to act; anything which one names is already no longer quite the same; it has lost its innocence." "Sartre asserts that if a writer is not fully committed to both political and more importantly economic liberty, he is internally at war with the fundamental free nature of literature." Though people say a film, podcast, song or interview changed their life, prose retains a unique ability to not just to crystallize an emotional or intellectual recognition but to spark a chain of insights that illuminates a different path in life. From the Status Quo perspective, the citizen who bicycles to work is either a “health nut” or some outlier who perversely refuses the obvious convenience and comfort of the auto. From the point of view of one who has experienced an inner revolution of understanding, then the simple machinery of the bicycle has freed the citizen from dependence on the oil complex and its enforcer, the State, and also from the sickcare system and its enforcer, the State. In the consumerist mindset, riding a bicycle to work is an apolitical “personal choice” that is meaningless on the larger stage. To the citizen with a revolutionary understanding, every bicycle ride is an overtly political act of resistance against the concentrations of capital that maintain their power over the State via dependence on oil, auto-centricity, and sickcare. To the unaware citizen burdened with multiple chronic diseases brought on by a corporate-supplied diet of packaged food and fast food and a sedentary life based on the worship of “convenience,” then buying frozen pizza and fast-food are apolitical, “personal choice” actions. To the citizen with a revolutionary understanding, then these are the actions of the indentured, and the refusal to consume packaged “food” that no caring consumer would feed their dog lest it sicken and die is a deeply and overtly political act of resistance. The inimitable Steve Jobs succinctly described complicity in his famous challenge to former Pepsi head-honcho John Sculley: "Do you want to sell sugared water for the rest of your life? Or do you want to come with me and change the world?" Sugar water comes in financial and intellectual favors, too. A friend recently recounted a story from personal knowledge of an immigrant who started life in the U.S. renting a closet to sleep in and in the space of a few years moved into a posh home in Boston after making a small fortune wholesaling saccharine. This is of course the Status Quo's "American Dream": the big house, the Mercedes in the driveway, all achieved by whatever means or debt-loads are within reach. That is the false choice provided by the Status Quo: do you want to buy/sell/drink sugar water or saccharine? There is another choice: do we want to passively self-destruct in servitude to the Status Quo or do we want to join those with a positive vision for the future? Every act is a choice, and the future is in our hands. Thank you, John G. ($20), for your extremely generous contribution to this site--I am greatly honored by your support and readership. Thank you, Steven L. ($5/mo), for your wondrousy generous subscription to this site--I am greatly honored by your support and readership.